Alignment: The God I was trying to bring back wasn’t evil so I went for the Adaptation version. Will +3: 3 levels of Wizard covers this. 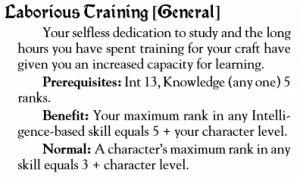 I’ve already got the Knowledge (religion) 6 and Knowledge (arcana) 6 takes one more rank, but I need to be able to cast 2nd level arcane AND 2nd level divine. 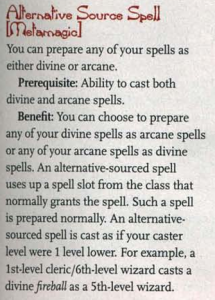 Meet Alternative Source Spell (Dragon Magazine #325 p61). 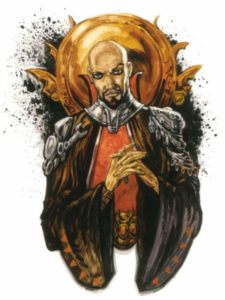 My arcane spells count as divine spells and vice versa. Now for 9 levels of Mystic Theurge. At 13th Level I’ve maxed out the Ur-Priest Spell Progression and can cast True Resurrection on the remains of my God. Since he lost his godly powers I was able to bring him back. He’d been gone for longer than 130 years, but according to my GM my faith was enough to restore Völundr to his body. Our next quest was to restore his divinity. We never got to 20th, but Völundr was reborn! He’s been my go-to God since then.